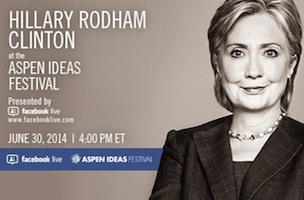 Former Secretary of State Hillary Clinton will sit down with Walter Isaacson, president and CEO of the Aspen Institute, today for an “Afternoon of Conversation” at the Aspen Ideas Festival. Those who join the event on Facebook can submit questions for the former Senator and First Lady to be considered to be asked by Isaacson. 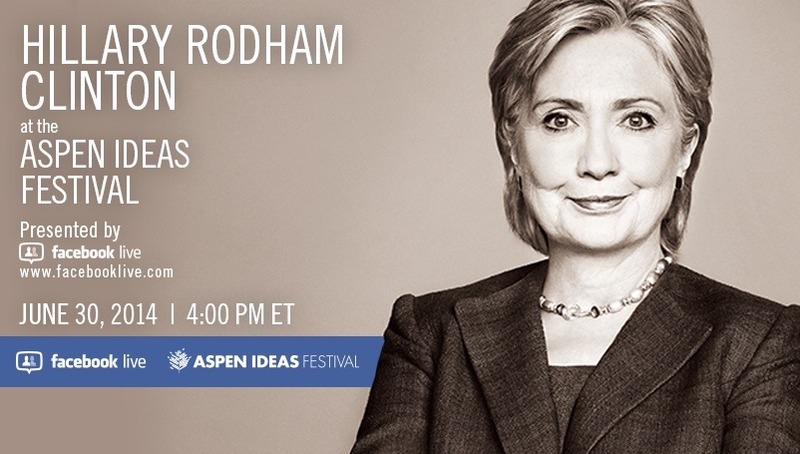 The conversation will take place at 4pm ET (2pm local) and live-streamed on Facebook.